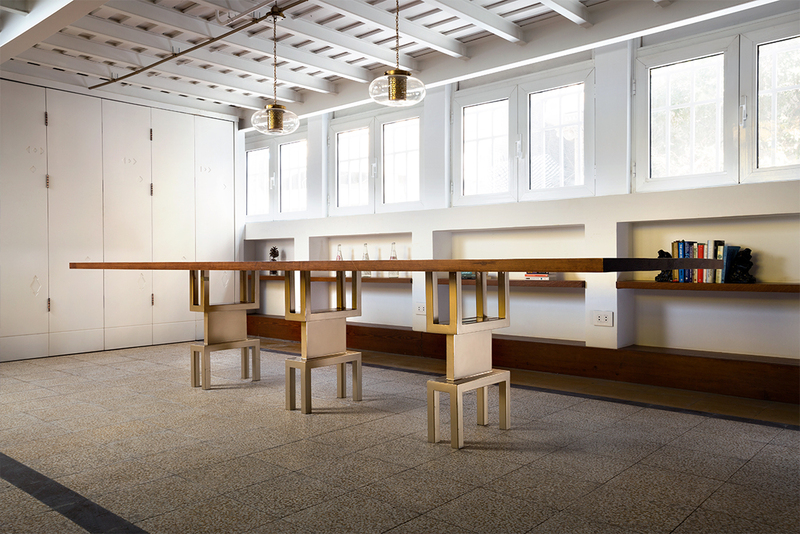 In terms of Kamelizer’s furniture, each piece had to serve both design and function. 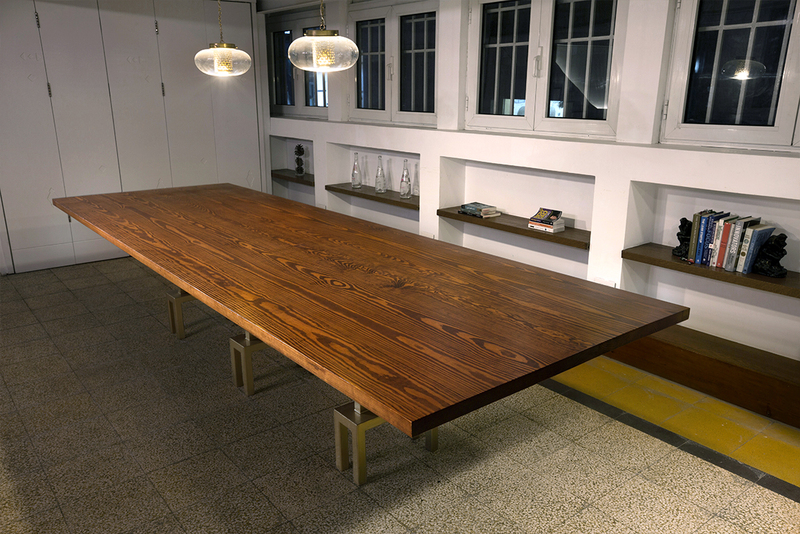 For a dramatic effect, I created two identical designs for the offices and the meeting table. The legs were inspired by metal support structures I’d come across during the design process of the office, which I found to work perfectly with the vernacular cutouts and inlays found on the main walls of the space. The large planks of solid wood brought richness and warmth to the interior, while the gold legs added some shine.